The station will target 25-44 year old men. It launches at 6:30am on 21st September, with Chris Moyles and Dominic Byrne on the breakfast show. Dave Vitty won't be joining. Johnny Vaughan will present the drive time show. Jon Holmes, the current XFM breakfast presenter stays on at weekends. The strapline for the new station is "Get Into The Music"
The playlist will feature Florence & The Machine, Mumford & Sons, Blur, Arctic Monkeys, Noel Gallagher’s High Flying Birds, The Maccabees, Radiohead, Nirvana, The Smiths, Royal Blood, Kasabian, Catfish & The Bottlemen and Kings of Leon. It will launch on national DAB multiplex D1, meaning anyone who can already receive stations such as TalkSport and Absolute 80s on DAB will get the new station once it appears on 14th September, one week ahead of its launch. In most cases you just need to tune into another station on D1 such as Absolute 80s for 20 seconds and Radio X will be added to your DAB station list in the background. The bad news: it's got a mono slot. Radio X will also be available online and via mobile apps, via satellite and on 104.9 MHz FM in London and 97.7 MHz FM in Manchester. 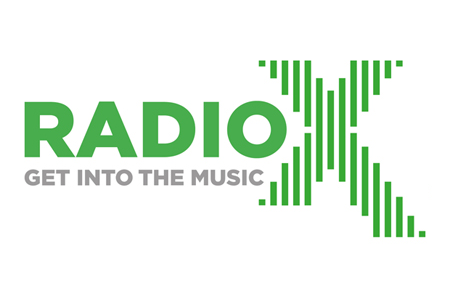 It won't be available in Glasgow on FM: the XFM frequency is being given up by the station's owner Global Radio, because Ofcom says it can't replace the current Scottish shows with a full network schedule. Radio X isn't that unique: There are stations in Belgium, Canada and Florida of the same name. It's a fictional station in Grand Theft Auto and sounds similar to Devon's Radio Exe.